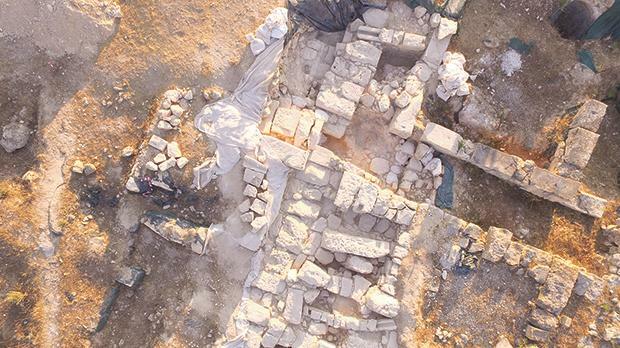 A photo of the Roman Villa in Żejtun taken by a drone piloted by Dr John Betts. John Charles Betts, an engineer by profession and a senior lecturer in the Department of Classics and Archaeology of the Faculty of Arts at the University of Malta, will today be giving a lecture entitled ‘Looking Down on Archaeology. The presentation, which will be held at 6pm at the National Museum of Archaeology, Republic Street, Valletta, is part of the Archaeological Society Malta’s lecture programme. Betts will be talking about unmanned aerial vehicles (UAVs), or drones as they are called colloquially, which have supported the documentation of cultural heritage and archaeology for over two decades. Their use and potential has increased dramatically in the past six years as a result of the greater accessibility to affordable off-the-shelf drones with useful capabilities. The technology behind these small but useful remote-sensing platforms, which can be used for aerial photography, survey and archaeological prospection, has facilitated the generation of image products, ranging from photographic records to orthophotomosaics and 3D models, and has enhanced the capability of rapidly documenting and monitoring sensitive locations. The basic concepts defining the use of UAVs and their potential and limitations will be considered, and examples of use by the Low Altitude Remote Sensing Over Compact Sites (LARSOCS) project of the Department of Classics and Archaeology will be presented.